Over three days, everyone who is anyone flocked to the Karachi Literature Festival (KLF) 2017. Crisp starched saris, Kolhapuri chappals, white hair and white chooridars, pure leather-bound notebooks, endless rounds of tea serving as the fuel for animated conversations about existentialism, philosophy, politics, the arts, and the role literature plays for all of these. The 8th KLF saw an increased footfall and as ever became the most happening event in the city by the sea. “The KLF has busted many myths that existed about Karachi and its people. This festival has now successfully added ‘literary tradition’ to the list of things Karachi is known for. The literary tradition that is the legacy of our elders has been rekindled in our youth and we at the Oxford University Press (OUP) Pakistan are extremely proud to be the flag bearers of literary festivals in Pakistan,” says Saadia Mirza, Rights Manager at OUP. The KLF was launched in March 2010, and is directed by Ameena Saiyid, founded by Ameena Saiyid and Asif Farrukhi, and produced by OUP. It is open to all and the entry is free. It features debates, discussions, talks, English poetry readings and Urdu mushaira, a book fair, book launches, readings, signings, satire, theatre, film screenings, music, and dance. KLF has grown — from an attendance of roughly 5,000 in 2010 to 175,000 in 2016. In 2010 it had 34 sessions with 58 speakers/performers. This year, the 8th KLF featured close to 200 speakers and performers in around 76 sessions. This year, a recurrent theme that surfaced in many talks was Pakistan’s economic challenges, and how they are affecting society and culture as a whole. The important issue of gender was brought up in many a panel. Feminist activists and writers like Fahmida Riaz, Sheema Kirmani, Zehra Nigah and Sania Saeed were seen prominently participating. 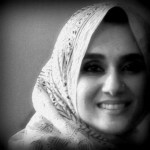 One unique book that was launched was Interpreting Islam, Modernity and Women’s Rights in Pakistan by Dr Anita Weiss, Professor at the University of Oregon. It was her second time at the KLF. “The first time was in 2012. I’ve seen a few important changes. First, there is a lot more emphasis on books now. Previously there were a lot of talks, but not necessarily connected to explicit things people had written. Second, the audience now seems even more diverse than in 2012, with people coming from all walks of life,” says Dr Weiss. However, the diversity she sees as positive is seen by some as a recession in the exclusivity of the KLF. The elite ownership and intellectual regality seems to be diluting. Some see this as a positive; others don’t. Many visitors were overheard commenting that the standard of the KLF is going down, referring to the fact that it is becoming more awaami which is resulting in a deconstruction of some of the carefully constructed social silos. However, people like journalist and documentary filmmaker Faisal Sayani feel the opposite to be true. “The selection process seems flawed and nepotism-based, and KLF has become commercialised. But the festival is not, in essence, designed in a way that would deprive or bar masses from it. I find it to be pretty inclusive,” says Sayani. In a city like Karachi, a diverse crowd is but natural. “Karachi is a melting pot of so many ethnic and linguistic traditions that it is not easy to define the culture and tradition of this city — the Karachi experience is an intense experience. And that intensity is reflected in the sessions of the KLF. Any visitors will vouch for the palpable energy in the atmosphere of the KLF as writers, readers, politicians, actors, musicians, students, poets, academics and journalists all come together to celebrate the literary achievements and discuss the issues faced by Pakistan today,” says Mirza. One of the most important sessions was about the city, titled “‘Karachi: Is Pakistan’s Boom Town still Booming?”, with a panel of people who know Karachi, especially the unparalleled Arif Hasan who knows the city better than anyone else. “In 2015, 902 cars were registered daily in Karachi; during the last six months 800 motorbikes were registered daily. This city cannot accommodate it,” says Hasan. He raised brave questions about where the money being invested into Karachi’s real estate is coming from. Answering a question, he said that the main issue with Karachi is the tension that exists because it is the capital of a Sindhi-speaking province being dominated by a non-Sindhi speaking minority of the province. The panel included stalwarts of Karachi, namely Aquila Ismail who is writer, activist and sister of Parween Rehman, Najmuddin Shaikh who is a distinguished diplomat, and Haris Gazdar who is a renowned researcher. Ismail compared Karachi to the mythical city of El Dorado, and said the gold of this city is in the hearts of its residents. The crowd-pullers in the open air garden were more than just literary. One such popular celebrity session was the former celluloid queen Shabnam in conversation with Bushra Ansari. Shabnam brought back memories of a Pakistan before the fall of Dacca, and spoke about the best of times and the worst of times. Stand-up comedian Shafaat Ali provided the comic relief at the same venue, while the legendary Zia Mohyeddin’s reading session titled “Memories and Reflections” gave the KLF what completed it. 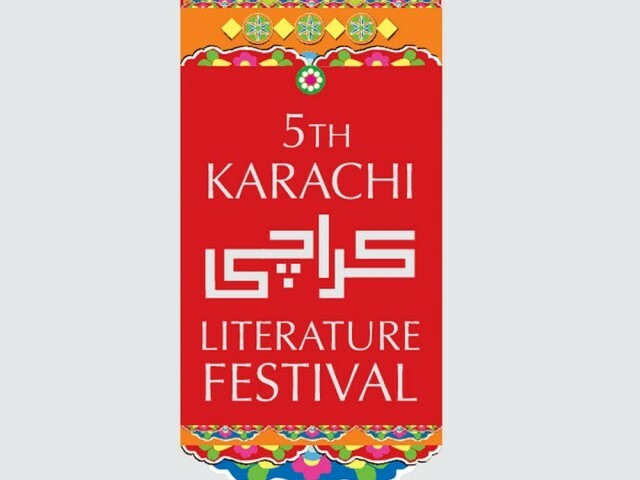 True to the KLF tradition, five literary prizes were awarded this year too at the festival. Posted in Karachi, Of Books & Literature, Pakistan and tagged Anita Weiss, Fisal Sayani, Karachi Literature Festival, KLF, OUP, Oxford University Press, Parween Rehman. Bookmark the permalink. Karachi Literature Festival: Will the real liberal please stand up? KLF serves as a hub for Pakistan’s beautiful minds that allow critical thinking and are truly progressive. PHOTO: KARACHI LITERATURE FESTIVAL. The recently held Karachi Literature Festival 2017 was a hub alright. But a hub of what? What it stands for, ideally, is not just celebrating books and authors, but also to serve as a hub for Pakistan’s beautiful minds that allow critical thinking and are truly progressive. Literature and the arts, on such forums, are designed to allow an open inflow and outflow of thoughts and ideas, and an exchange of not just narrative but also counter narrative. One counterfoil session of the KLF 2017 was introduced as a discussion on conflict-resolution through art and enterprise. One of Pakistan’s well known musicians dared to play a short video as a tribute to the late Pakistani pop icon-turned-evangelist Junaid Jamshed, and went on to talk about how he and Junaid, despite ideological differences, managed to remain lifelong friends, and worked in collaboration on projects pertaining to peace-building. The reaction of a renowned “liberal and progressive” scholar on the panel was perhaps not unexpected but certainly unwarranted. He ridiculed Junaid Jamshed’s long beard and dressing style, and then went on to comment on his alleged misogyny. The comments were not just out of context. They were a giveaway of something that we don’t talk about often enough, which is that when it comes to “liberalism”, Pakistanis seem to have lost the plot. Most dictionaries define a “liberal” in words as these: Someone who is open to new behaviour or opinions and willing to discard traditional values; lacking moral restraint; tolerant to change; a moderate person or viewpoint that favours a society or social code less restrictive than the current one, and welcomes constructive change in approaches to solving economic, social, and other problems. The irony of ironies is that the very things liberalism stands against – being judgmental, being inflexible and being rigid – are the very traps we see liberals falling into. Liberal thought is, in essence, the anti-thesis of extremism and fundamentalism. It is the willingness to burst bubbles, push boundaries, and think out of boxes. True liberalism is having the heart to listen open-mindedly to an opposing view point, even though you may disagree vehemently. Pakistan, today, is in desperate need of truly liberal people who may have their own set of beliefs, yet are willing to hear the other side out, and engage in dialogue. The intelligentsia, as it consists of more evolved people, has on it the responsibility of building bridges. Instead, what we are seeing on both sides is deep intolerance. The religious are seen indulging in feel-good extremism, and write off those who don’t follow religion in exactly the way they interpret it. For that, they get the flack which is perhaps justified. But it is less painful because the right-wingers never really claim to be open-minded. It hits worse when those who claim to be progressive and liberal follow the same patterns. Ironically, many of them, if not all, end up being equally intolerant of dissenting viewpoints, if not more. Puritanical thinking makes one feel holier-than-thou (and this holds true for both the left and the right, for both the religious and the secular), plugs our ears to voices of those we see as “the others”, and perpetuates a binary world view, leading to the “it is either my way or the high way” attitude. For cases in point, one should skim through social media websites. The easiest and laziest thing to do is put blanket generalisations on groups of people – something we are becoming very good at. Common assumptions are that a bearded man or a hijabi woman cannot be a human rights activist, a peace-builder or one raising their voice against domestic violence. Equally common are counterpart assumptions that a woman donning a sleeveless shirt or a man who is in the music or showbiz industry lack in faith. Sneering at the opposite camps might get one some additional readers and followers, or a few guffaws from a chisel-headed audience that wants to enjoy the comfort of collaborative mockery. But what many of our brightest minds end up looking like is eternal teenagers and wandering Peter Pans who imagine the world as a virtual university town where everyone must conform to thinking in a certain way. This is not to undermine the contributions KLF and similar forums are making. It is just that by default, events that act as magnets to the urban elite seem less welcoming to those who differ socially or ideologically. We are all living in our ideological silos, comfortable in our respective bubbles with our own sets of designated cheerleaders. No one wants to try understanding another point of view. We sing praises of a word called “empathy” when we have not even arrived at the station of “tolerance”. We spare neither the living, nor the dead. And through it all, we see ourselves as the problem-solvers when we, ourselves, are part of the problem of polarisation. How, then, can any of us claim to be liberal? If Pakistan truly wants to get rid of extremism, there will have to be more open-minded listening, especially listening to those who are not on the same page as you, without jesting about or being dismissive of the other point of view. Posted in Culture and Society, Of Books & Literature, Pakistan and tagged Junaid Jamshed, Karachi Literature Festival, KLF, liberalism, liberals, Pakistan. Bookmark the permalink.